Though dinosaurs may be extinct, their presence is still used to great advantage. 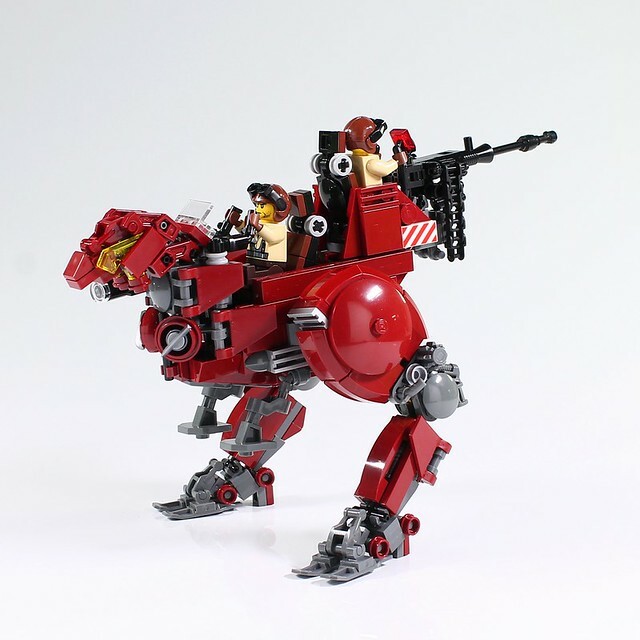 Moko took it upon himself to strike fear into the enemies of these soldiers by building them a raptor mech, one that is clearly ready for action. It may be mechanical, but the essence of the powerful spirits of dinosaurs is represented well here. Two pilots, two legs, one larger turret, and no doubt plenty of other combat abilities.